Sony MDR-EX500LP review | What Hi-Fi? 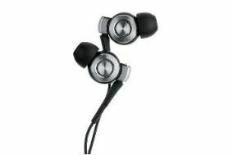 From the funky aluminium body to the swish leather travel case, these Sony buds do a good job of disguising their modest price tag. Even the packaging has been designed to look like it's the bearer of a premium product. And there's a lot to like with regards sound quality, too. Foo Fighters' Monkey Wrench sounds solid and substantial, and the earphones keep decent rhythm as the track steams along. They display good solidity and weight as the drum-kit is pounded into submission. They aren't the most detailed, dynamic buds, and there's a hint of hardness at the top end, but they're still well worth an audition.